Businesses can resolve their customer issues better only when they know them inside out. Having a detailed contextual information about your customers helps you to understand where they face difficulties and what measures can be taken. 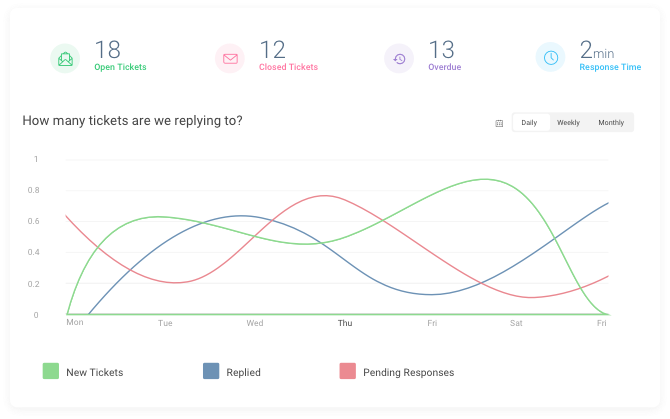 ProProfs trouble ticket system enables you to address customer issues from multiple channels, as they convert into tickets and hit the support inbox in the form of emails. Ticket organization, management and resolution become easy with this software. It is not in the hands of one individual or a team to address and resolve all customer issues. This is where collaborative teamwork comes into play. 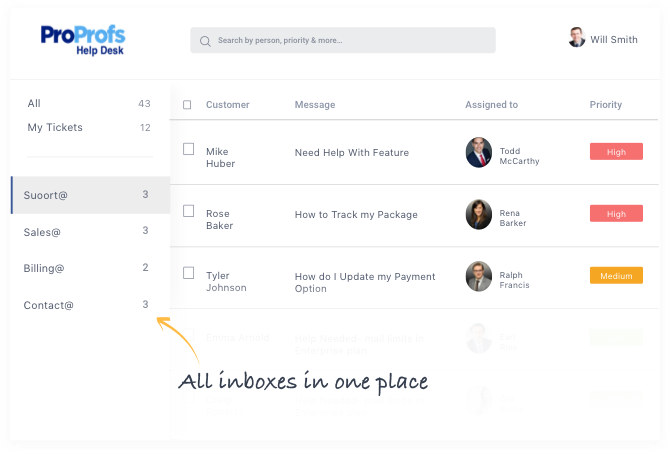 Shared inbox is one of the key features of the trouble ticketing software. It makes collaboration simple. Agents can see who is working on what. Teams collaborate to find the most ideal solutions to customer issues, without losing context or having dispersed conversations across multiple channels. With ProProfs Help Desk, your agents can save time. They don’t need to engage themselves in repetitive tasks due to automation features of the trouble ticketing software. 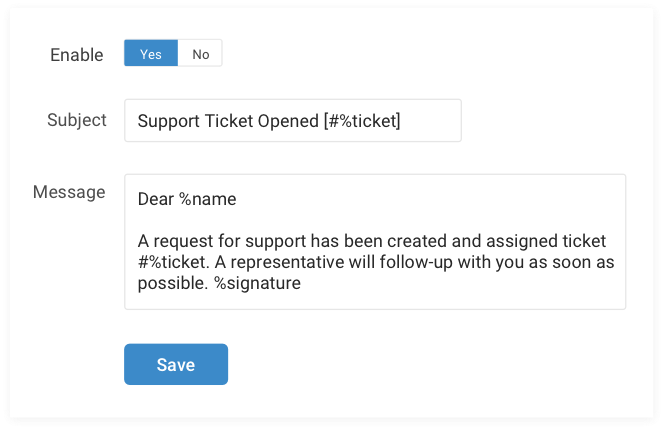 Admin can sort incoming tickets; prioritize and assign them to the concerned individuals or teams. Our canned responses feature enables agents to avoid answering the same questions again. 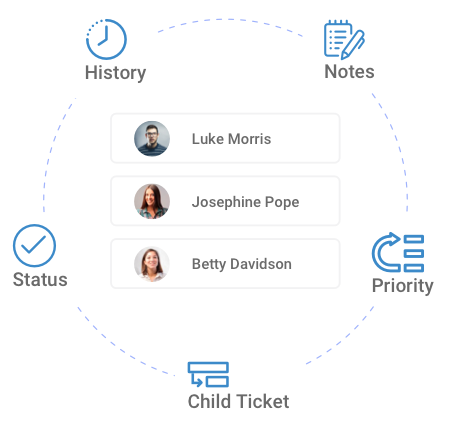 Perform multiple actions on tickets with the workflow set up. Agents can deliver the best of customer support, as the ProProfs trouble ticket system enables them to avoid redundancy of efforts. The software detects and informs when a number of people are working on the same ticket, so that there is no collision on customer requests. Admin can prioritize tickets and assign them on the basis of priorities. Integration of ProProfs Help Desk with Survey Maker enables measuring and improving agent performance.